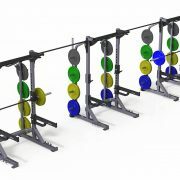 The X-Series Triple Half Cage signifies a strong, serious look that signals quality performance and results. Built with the same components as the X-Rack line, but with a high lustre platinum powder coat finish and added paint protection from molded nylon weight horn covers, the triple half cage is built tough, but built to look good in any environment. 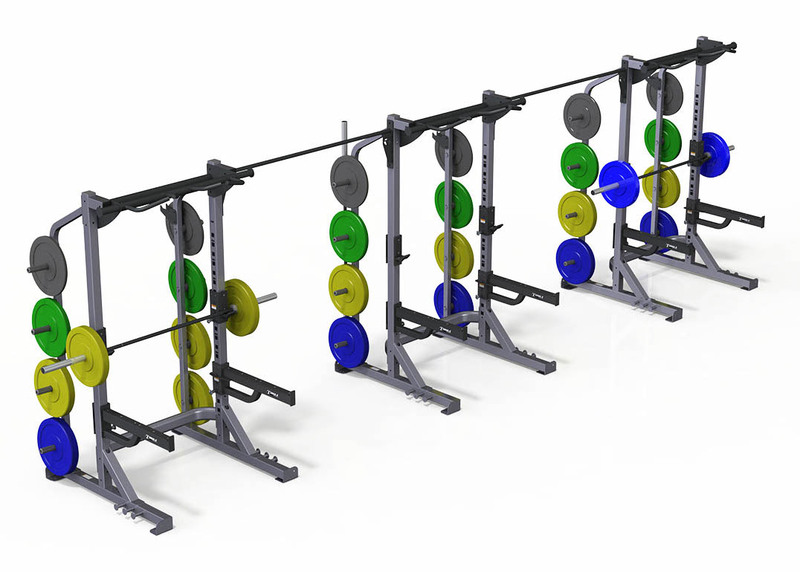 Each half cage features standard J-hooks, bar catches, weight storage, Olympic bar storage, and upper and lower resistance band pegs. 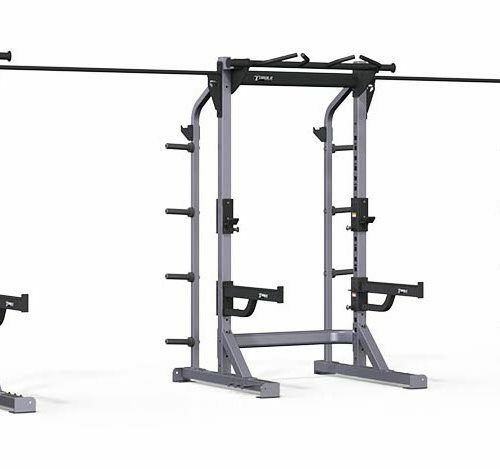 Optional attachments include the X-Series flat-incline bench or flat bench, ball target, heavy bag anchor, dip/step/attachment anchor, tripleplyo, platform and insert and ground rotational trainer.